Posted by on Tuesday 17 January 2012. No Comments on this post. 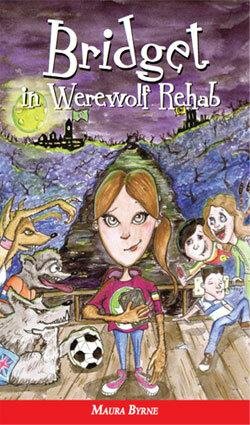 I arrived in Herr Wolf’s Rehab today and I hate it! I’m writing this blog to you on my laptop, late at night. I’ve got my torch between my knees so that I can see the screen under my blanket. My three new roommates – Katy, Simonetta and Saori are snoring their heads off in the dormitory around me. It’s brutal in Werewolf Rehab. I wish I could go home! But my Mom won’t let me. I know it’s probably hard for you to understand why I feel like this. You probably love animals. I do too, I just hate when I turn into one. The smell makes me gag. UGH! There’s only one thing I like and that’s being able to talk when I turn into a werewolf. That’s because I have human vocal chords. Generally animals can only whimper, growl and bark. I feel so sorry for dogs and cats when they’re trying to speak but all that comes out is a whimper or a purr. The daily routine at Herr Wolf’s is gruesome – compulsory shape shifting which I hate, inner wolf therapy and live mice breakfasts. Can you imagine how awful that is? I’ve just got to come up with a way to escape. Katy is stirring. Gotta go! Bye.